Welcome to Lincoln! One of your most essential needs while you’re here will be access to your money. UBT is here to help with a variety of accounts and services that will meet your needs while giving you financial flexibility. 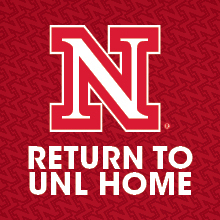 We have an exclusive University Checking account just for UNL faculty & staff. Our branch staff would be happy to explain how it works and open your account.Or check out the Ask section of the website to get an overview of how checking accounts work. Receiving International Wire Transfers doesn't have to be complicated with our Wire Instructions Card. Stop by the branch to pick one up. If you prefer to talk about banking in your native language, we provide a free interpretation service. Just call or stop by the branch. We offer tools for you to manage your money online. Check out the "Do" section of our website. You can use your Visa debit card when you travel. Visit Travel Information for everything you need to know about using your account on the road. Find an ATM or the UNL Campus Branch. Book a UBT banker to come speak to your student group or class. An expert from UBT will come answer your questions and give helpful information about banking or other financial topics. Reserve one today.